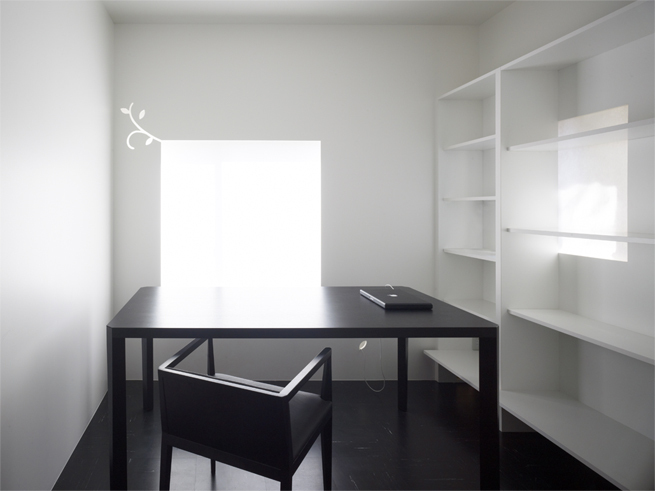 This project involved renovating an old wooden house on the Shibuya River in Tokyo’s Ebisu neighbourhood into a live-work space. 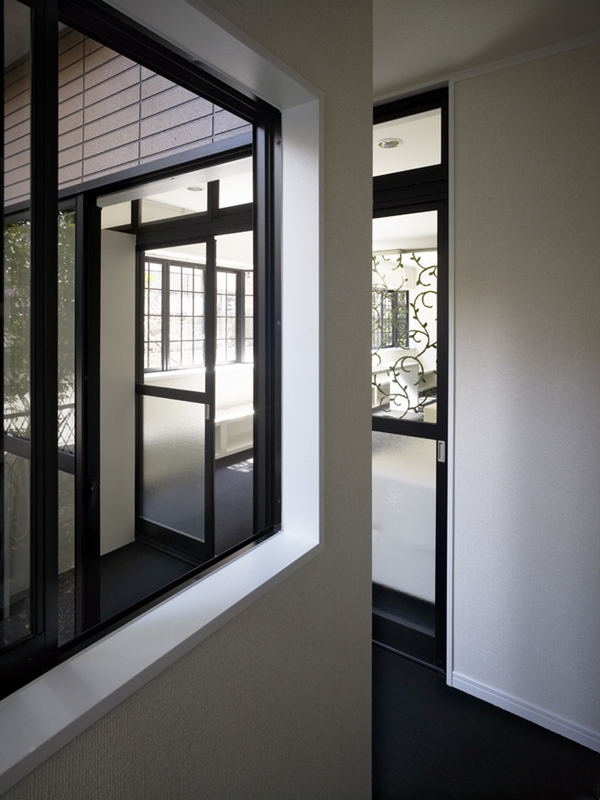 The house had accumulated some strange and wonderful features -an inner courtyard, an oddly long hallway, a tiny room- from a series of earlier renovations, so we decided to build on these earlier features, but also to “acclimate” the space to the new owner’s lifestyle. 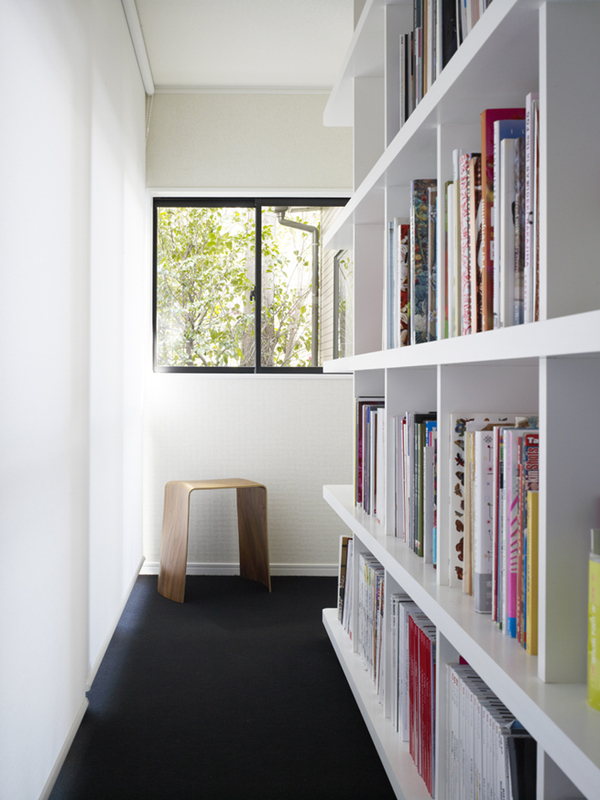 The hallway became a study, and the small Japanese-style room a studio. 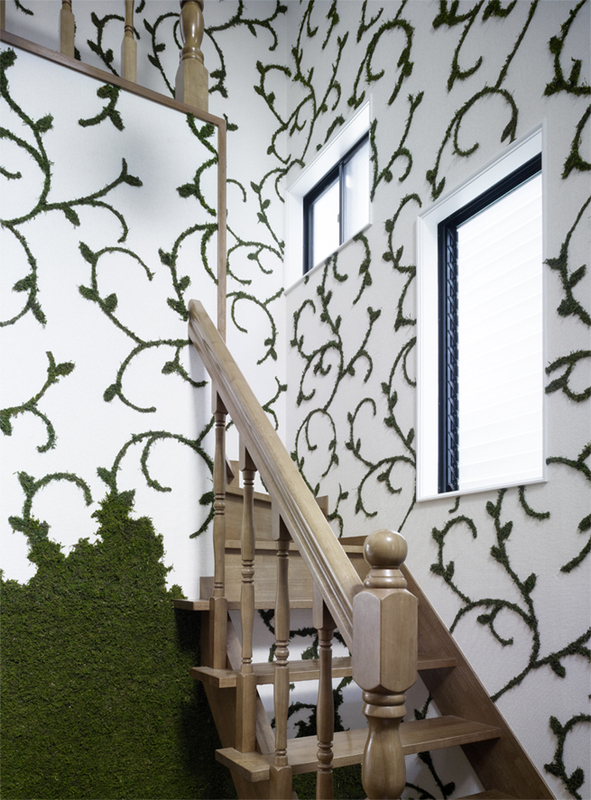 Veins of moss pattern the riverbank outside the windows, so we used similar veins of dry moss on the interior walls to subtly connect existing spaces with newly-renovated ones, and the house’s interior environment to its exterior one. 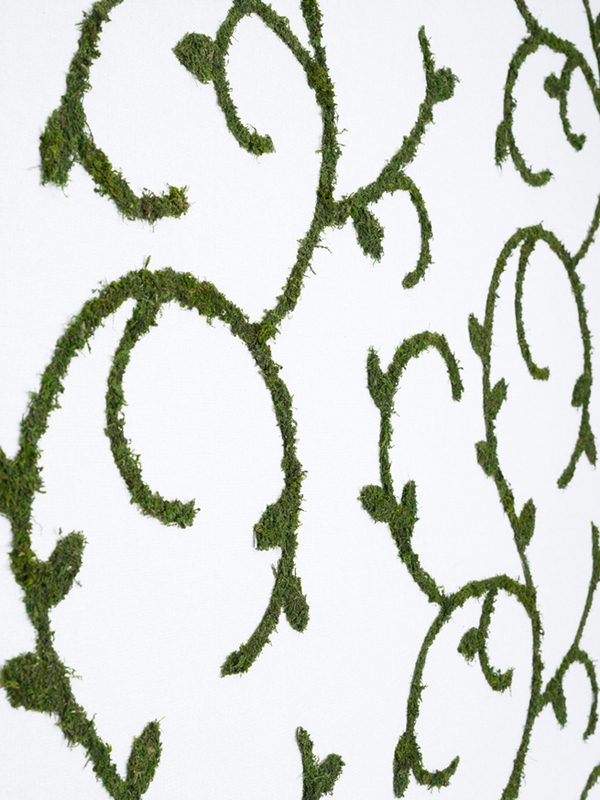 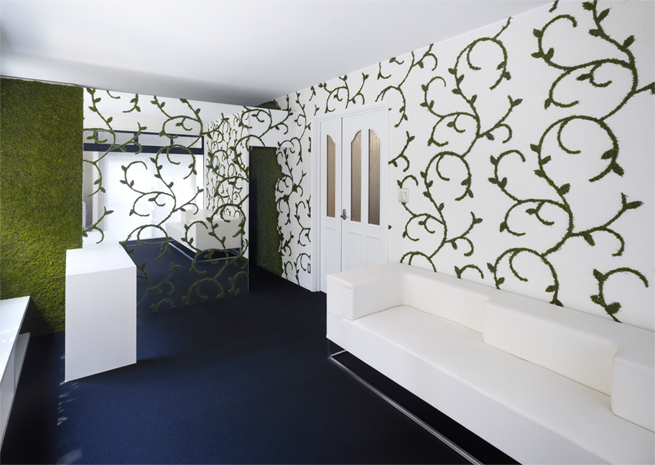 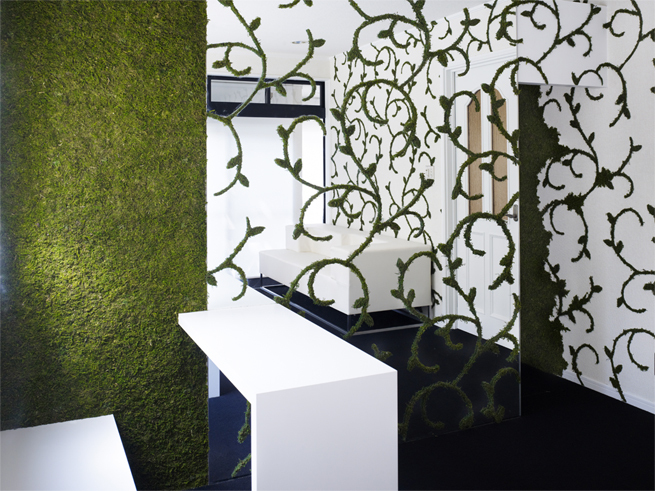 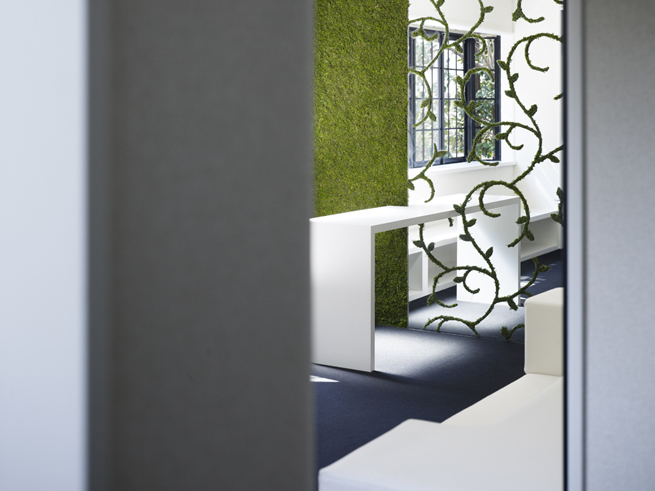 Most wallpaper imitates nature through a two-dimensional representation of it, and cladding the walls entirely in moss would simply have been too much. 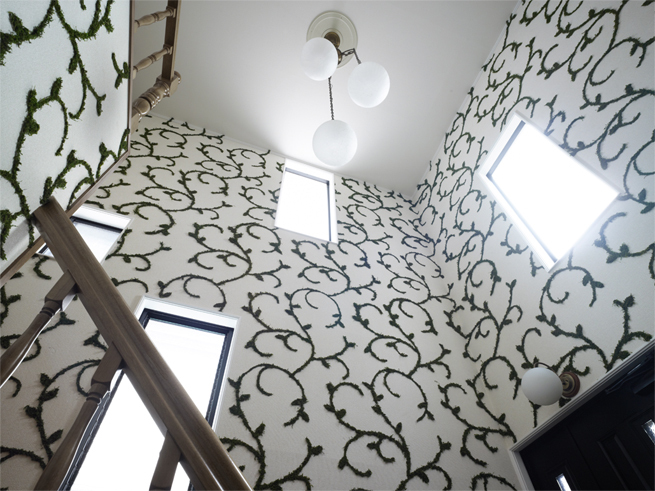 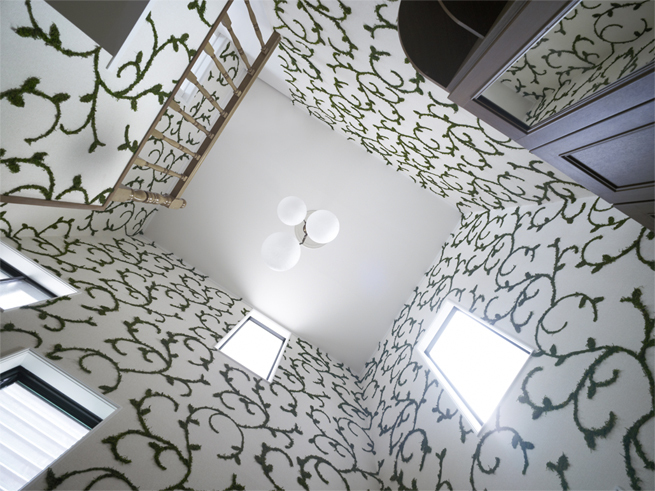 We wanted something in-between, so we applied the moss in a pattern that looked like wallpaper, creating an ambiguous texture that’s neither artificial nor natural. 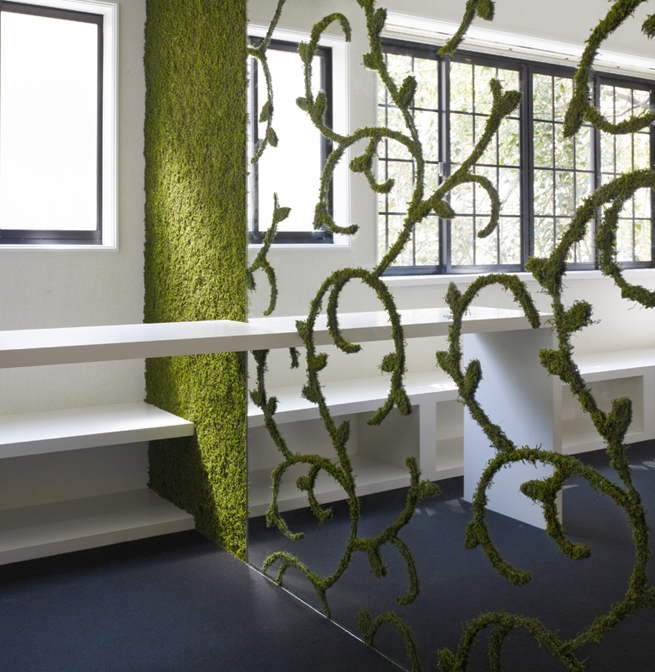 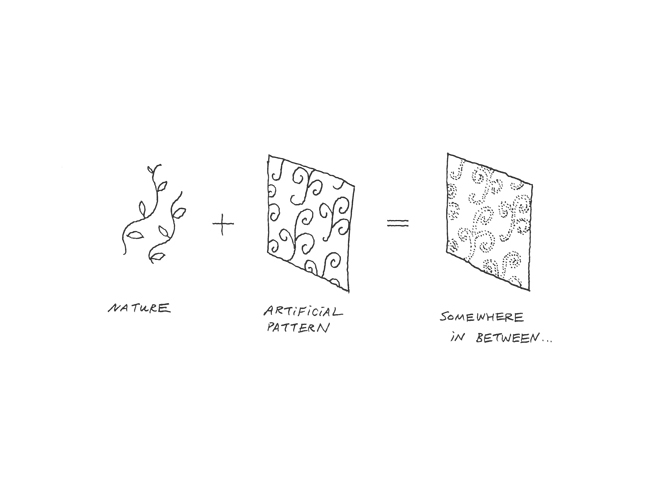 The same pattern appears on the cable outlet, and on the doorframes and door handles of the office, further synthesizing the moss pattern with the space.